Astronauts Christina Koch and Anne McClain were scheduled to walk outside the International Space Station on March 29, but now only Koch will go ahead with it. The National Aeronautics and Space Administration on Tuesday said it no longer plans to conduct the first all-female spacewalk citing lack of availability of spacesuits in the right size. 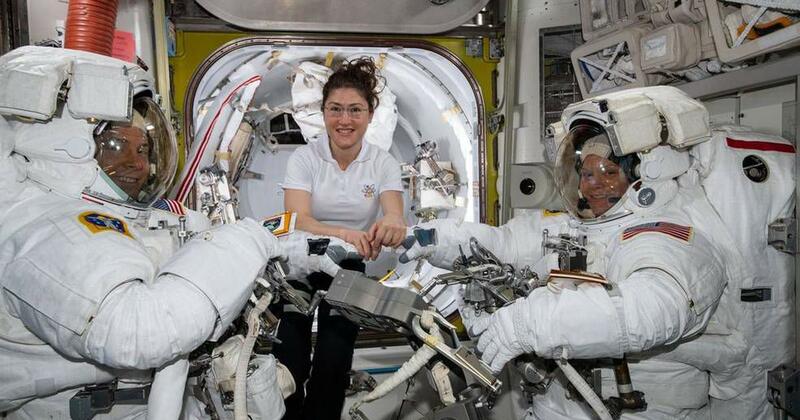 Earlier this month, NASA had announced that astronauts Christina Koch and Anne McClain will walk outside the International Space Station on March 29, which would have made it the first all-female spacewalk 35 years after a woman first took part in one. The two astronauts were scheduled to install new batteries at the station. There have been 214 spacewalks at the International Space Station since 1998 for repairs, maintenance, testing of new equipment, among others. Spacewalk teams so far have either been all male or male-female. McClain took part in the 214th spacewalk of the agency on March 22 with astronaut Nick Hague. However, during that spacewalk, McClain learned that a medium-sized hard upper torso (the shirt of the spacesuit) fits her best. Since only one medium-size torso can be made ready by Friday, Koch will wear it, NASA said. Hague will accompany Koch for the upcoming spacewalk. McClain is scheduled to perform her next spacewalk on April 8 with Canadian Space Agency astronaut David Saint-Jacques, it added. Soviet cosmonaut Svetlana Savitskaya became the first woman to carry out a spacewalk on July 25, 1984, Reuters had reported. More than 500 people have been to space, but less than 11% have been female. Only 12 women have done a spacewalk since Savitskaya, and Koch will become the 14th woman to do so.